Welcome to Grapevine Physical Therapy & Sports Medicine's patient resource about Revision Arthroplasty of the Knee. 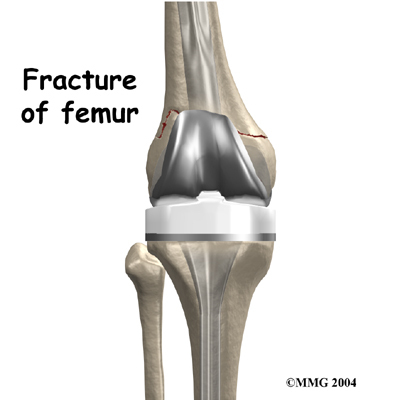 A fracture may occur near an artificial joint. 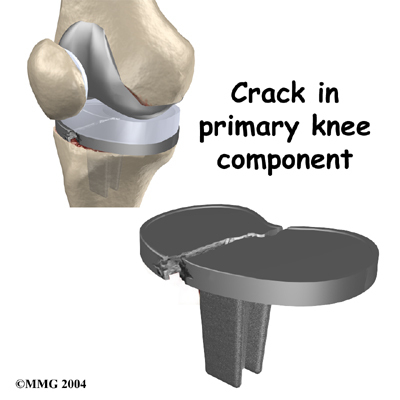 It is sometimes necessary to use a new artificial joint to fix the fracture. For example, if the femur (thighbone) breaks where the prosthesis attaches, it may be easier to replace the femoral part of the artificial joint with a new piece that has a longer stem that can hold the fracture together while it heals. This is similar to fixing the fracture with a metal rod. Instability means that the artificial joint dislocates. This is very painful when it happens. It is unlikely that the knee joint will completely dislocate. However, it can happen. 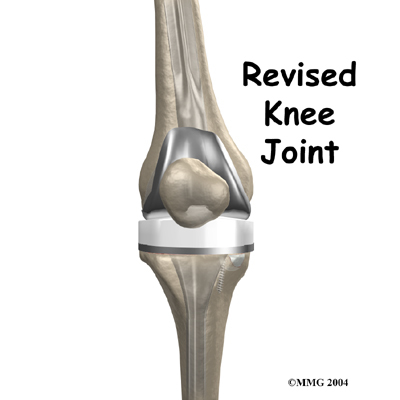 It is more common for the knee joint to be either too tight or too loose. If the knee joint is too loose, it can cause unsteadiness and pain. If the joint is too tight, the knee is usually painful and doesn't have a good range of motion. Before surgery, you may also need to spend time with the Physical Therapist who will manage your rehabilitation after the surgery. The Physical Therapist begins the teaching process before surgery to ensure that you are ready for rehabilitation afterwards. One purpose of the preoperative therapy visit is to record a baseline of information. This includes measurements of your current pain levels, functional abilities, and the available movement and strength of each knee. Any swelling in the artificial knee is noted. A second purpose of the preoperative Physical Therapy visit is to prepare you for your upcoming surgery. You will begin to practice some of the exercises you will use just after surgery. You will also be trained in the use of either a walker or crutches. Finally, an assessment will be made of any needs you will have at home once you're released from the hospital. 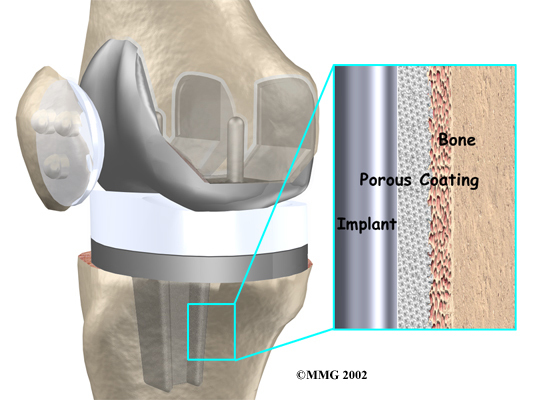 Before describing the revision procedure, let's look at the revision prosthesis itself. A cemeted prosthesis is held in place by a type of epoxy cement that attaches the metal to the bone. An uncemented prosthesis has a fine mesh of holes on the surface that allows bone to grow into the mesh and attach the prosthesis to the bone. Both are still widely used. In many cases a combination of the two types is used. 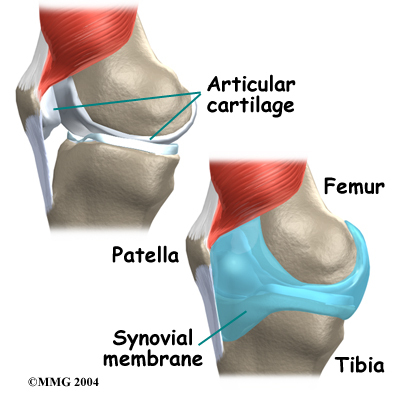 The patellar (kneecap) portion of the prosthesis is commonly cemented into place. 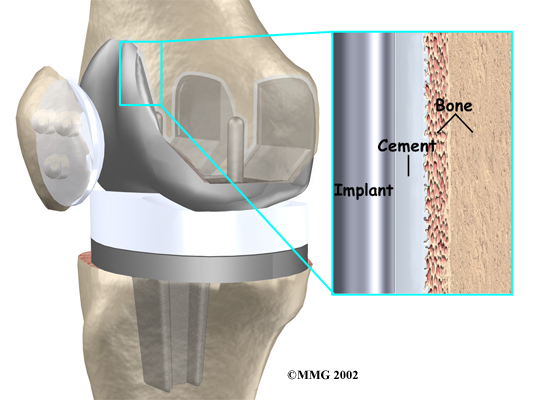 The decision to use a cemented or uncemented artificial knee is usually made by the surgeon based on your age, your lifestyle, and the surgeon's experience. Next, the original artifical joint is removed. 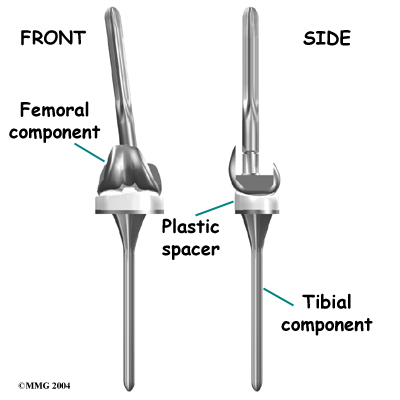 When the primary artificial joint was put in with cement, the cement has to be removed from inside the canal of the femur and the tibia. 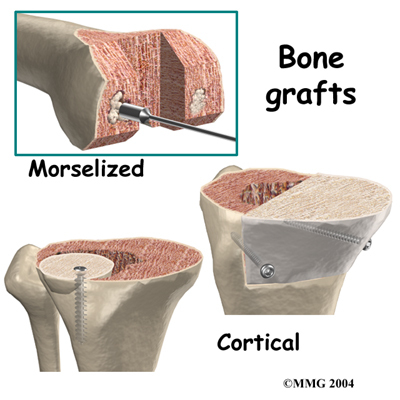 Because the bone is often fragile and the cement is hard, removing the cement can cause the femur or tibia to fracture during the operation. This is not unusual, and in most cases the surgeon will simply continue with the operation and fix the fracture as well. Sometimes a choice other than knee revision is best because a big operation might result in a failure, or even death. Removing the prosthesis and not replacing it doesn't mean the patient can't walk anymore. 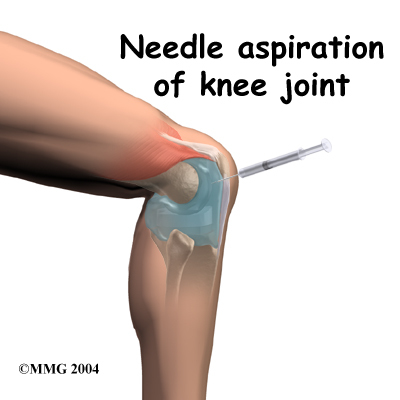 The surgeon may suggest fusing the joints of the knee, placing a spacer in the joint, or in some cases amputating the leg. Poor healing of the incision is a fairly common complication of knee revision arthoplasty. 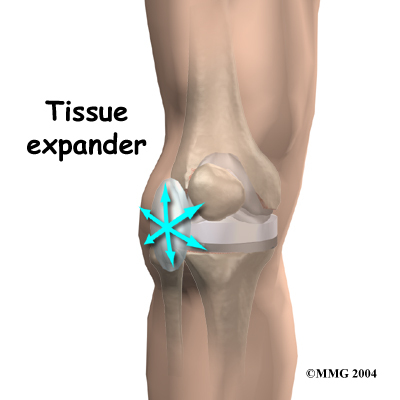 This is because the tissue is often scarred and thinner than when the original knee replacement was done. The blood supply to the skin may not be normal due to damage to the blood vessels from one or more previous knee surgeries. As mentioned earlier, previous skin incisions can make it hard for the incision to close after knee revision surgery, leading to complications. When the incision doesn't heal right, the chances of infection go up. The wound may continue to ooze, creating optimal conditions for bacterial growth. Your surgeon's goal is to prevent problems with the incision. If problems do happen, however, one or more additional surgeries will likely be needed. If a general anesthesia was used, a nurse, Physical Therapist, or respiratory therapist will visit your room to guide you in a series of breathing exercises. You'll use an incentive spirometer to improve breathing and avoid possible problems with pneumonia. When you are stabilized, your Physical Therapist will help you up for a short outing using your crutches or walker. After surgery, you may not be allowed to put weight on the affected leg for a period of time. This varies from surgeon to surgeon. Most patients are able to go home after spending four to seven days in the hospital. You'll be on your way home when you can get in and out of bed, walk up to 75 feet with your crutches or walker, go up and down stairs safely, and access the bathroom. It is also important that you regain a good muscle contraction of the quadriceps muscle and that you gain improved knee range of motion. Patients who need extra care may be sent to a different unit of the hospital until they are safe and ready to go home. Your staples will be removed about two weeks after surgery. Patients are usually able to drive within eight weeks and walk without a walking aid by two to three months. Upon the approval of our therapist, patients are generally able to resume sexual activity by six to eight weeks after surgery. When you begin your Grapevine Physical Therapy & Sports Medicine rehabilitation, our Physical Therapist may first use heat, ice, or electrical stimulation if you are still having swelling or pain. During this time, you should continue to use your walker or crutches as instructed. If you had a cemented procedure, you'll advance the weight you place on your sore leg as much as you feel comfortable. If you had a noncemented procedure, place only the toes down until you've had a follow-up X-ray and our Physical Therapist directs you to put more weight through your leg (usually by the fifth or sixth week after surgery). Although recovery time varies, most patients progress to using a cane in six to eight weeks. Our Physical Therapist may use hands-on stretches for improving your range of motion, then strength exercises to address key muscle groups including the buttock, hip, thigh, and calf muscles. Endurance can be improved through stationary biking, lap swimming, and using an upper body ergometer (upper cycle). may instruct you in an independent program. When you are safe in putting full weight through the leg, our Physical Therapist will choose several types of balance exercises to further stabilize and control the knee. Finally, we will use a select group of exercises to simulate day-to-day activities, such as going up and down steps, squatting, and walking on uneven terrain. Other specific exercises may then be chosen to simulate work or hobby demands. Our Physical Therapist will work with you to help keep your revised knee joint healthy for as long as possible. This may require that you adjust your activity choices to keep from putting too much strain on your revised knee joint. Heavy sports that require running, jumping, quick stopping and starting, and cutting are discouraged. Patients may need to consider alternate jobs to avoid work activities that require heavy lifting, crawling, and climbing. At Grapevine Physical Therapy & Sports Medicine, our goal is to help you maximize strength, walk normally, and improve your ability to do your activities. When your recovery is well under way, regular visits to our office will end. Although we will continue to be a resource, you will be in charge of doing your exercises as part of an ongoing home program.